There are many benefits to having a uniformed security presence on site. Uniformed guards provide a visual deterrent and are immediately identifiable as a person of authority. All RSSI guards maintain a valid PSISA licence; a large range of PSISA-compliant uniform options are available to suit every location. RSSI specialty divisions include Condominium & Concierge, Commercial & Retail, Educational, Healthcare and Industrial & Logistics. 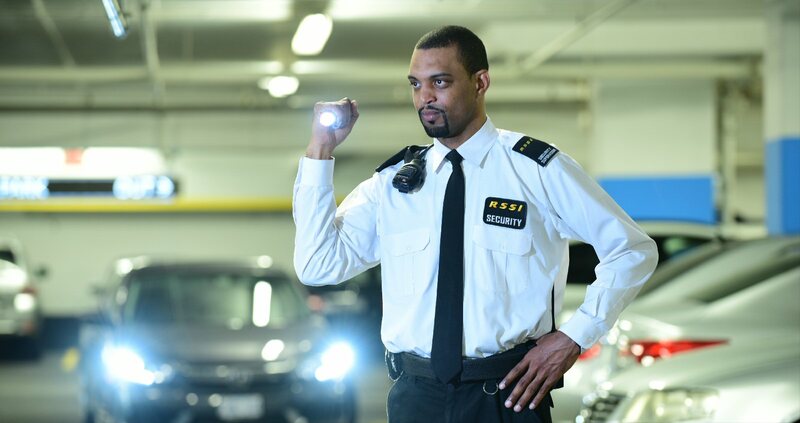 The RSSI Mobile team performs spot checks on guards, and provides services such as Property Checks, Alarm Response and Security Escorts; they may also perform Guard or Equipment transports to client sites. Both the Mobile team and the Client Service team operate with marked RSSI company vehicles. RSSI maintains both uniformed and plainclothes loss prevention personnel. Uniformed guards perform tasks such as access control, load and pallet inspections, wanding, x-raying, bag searches and vehicle searches. Plainclothes personnel generally act within retail settings in order to forestall product shrinkage or apprehend shoplifters. Your company and its assets can be exposed to threats on many fronts. Our on-staff experts can assist with identifying, analyzing and recommending viable solutions and procedural modifications to mitigate risk via physical security surveys and audits, cost/benefit analysis, business impact analysis, response planning and continuity planning. RSSI maintains experienced private investigators on staff to assist with corporate investigation requirements. From developing initial contingency plans and laying the groundwork well in advance, to arranging transportation, identifying staging areas, assembling and deploying guards, private investigators, picket line compliance guards and executive protection details across the province, the experts at RSSI can do it all. We work with our clients every step of the way, making recommendations for picket line protocols, maintaining harmonious relations with strikers, obtaining injunctions as required, and assisting with post-dispute procedures.